Hop farming was Squamish's first major industry. The major producer was Squamish Valley Hop Raising Co. (Bell-Irving Ranch). Hops are perennials and grown about 6 feet apart. They are picked during September and August. Hops are dried and bleached with sulphur in a kiln. In Squamish, Chinese labour was brought in to tend the hops. Local Indians were the pickers. They would camp in the area now between Petro Canada gas station and the Cottonwood condominiums. The hops in Squamish were top grade. They were shipped to Vancouver in bales wrapped in Burlap, then shipped to Britain where they were used to make beer. 1890 - Hops first grown by E.B. Madill. 1891, February - Group from Puyallup Valley (near Tacoma) examined Squamish as potential hop growing area. The Squamish Valley Hop Raising Company was formed by Vancouver businessmen. Dr Bell-Irving (great uncle of previous Lieutenant Governor) was owner of the company. President was William Shannon and Secretary was T.T. Black; and Directors: Dr Bell-Irving, W.E. Green, George Magee, E.L. Phillips. 1892 - The Squamish Valley Hop Raising Company leased land from E.B. Madill. 1.5 acres of hop vine nursery stock was planted. In addition, 260 acres were purchased, 20 acres of which were cleared. Ranch was in the present location of Eagle Run extending from Heidenriech's house to Judd Road to Horse Creek. Frank H. Potter, a hop rancher from Puyallup, became a manager. No hops grown but frame house and out-buildings built for Potter. 1893, Fall - 5 acres hops grown on Madill's leased property. No hops grown on Squamish Valley Hop Company's own land. 40 acres cleared but planted potatoes, oats, and hat. W. Shannon still president of the company. Chas. McLaughlin, secretary. 1894 - Fred Clayton Thorne replaced Frank Potter as manager of Squamish Valley Hop Company. Hop industry began to thrive. Allen Rae, E.B. Madill, George Magee, and Tom Reid grew hops. 1897 - D.H. Tweedie was manager of Madill's hop ranch. 1898 - Charles Rose was manager of Squamish Valley Hop Company (Bell-Irving ranch). Wife, Alice, was ranch cook. 1906, March - 28 acres of hops planted at Bell-Irving ranch. 1914 - With beginning if war, hop prices fell. Hop ranches were shut down. The Squamish Valley Hop Company was owned by Dr Bell Irving and Mr Murry (manager of Bank of Commerce in Vancouver) owned ranch at that time. Fred Thorne took over Squamish Valley Hope Company ranch and started raising short horn cattle. 1917 - Hop industry had died in Squamish. ~1931 - George Carson was running his brother Robert (Bob) Carson's hop ranch when it burned down. 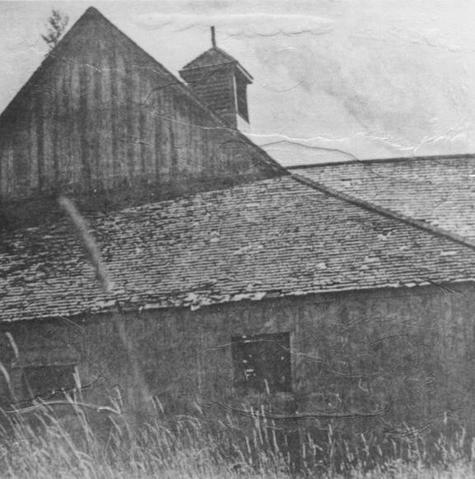 1944 - Roderick Mackenzie owned old Squamish Hop Co. ranch. Referred to as the mackenzie Ranch or the Pig or Hog Ranch. Since he produced hops for export to help the war effort, it received those names.